When running a small business one of the most dreaded tasks is looking after your books. This issue can be amplified if your small business accounting software is not up to the task. Some software seems to make an already confusing job more so, and that’s the last thing you need when trying to run your business. Xero is a cloud accounting software that has all the features you need in an easy to understand format. If you want to know more about what makes Xero such a hands down choice for small business accounting, keep on reading. Innovation with machine learning and AI is gathering pace following migration to AWS. But it’s nothing new – over 1,500 updates shipped in the past 12 months from Xero’s global product team. In 2014 and 2015, Forbes named Xero the World’s Most Innovative Growth Company. And in 2016, Xero Accounting Software recorded over $1 trillion across 450 million transactions. With Xero Accounting Software, one source of truth is accessible by everyone invited in, at the same time, from anywhere. New features are added automatically, based on feedback from customers. No more downloads install or desktop software updates. Sharing files is easy, and version control issues go away. Check out: What is the cloud and how safe is it? Accountant-client relationships have changed with Xero Accounting Software. We present a live view of the business finances – and the tools used to prepare client accounts – on one platform. By automating key business performance data feeds, extracting insights and displaying them on elegant dashboards, advisors can deliver proactive advice and services to clients. Xero Accounting Software takes laborious tasks and turns them into beautiful experiences, done at the click of a button or even while users sleep (it really is magic). Automation and machine learning transform compliance into limited-touch processes that help shift accountant relationships from compliance administrators to trusted advisors. Businesses with Xero Accounting Software have better survival rates. It’s all down to connectivity: 92% are connected to an advisor; 99% have an active bank feed; 40% have an app connection. And every Xero Accounting Software plan comes with unlimited users at no added cost. Colleagues can collaborate or invite financial advisors to view data remotely for valuable real-time advice. The Xero community loves Xero… and Xero loves them back. Passionate users dive into the product and features in an open forum, sharing what’s working, what could be better and what they’d love to see. At the same time, product teams innovate at a rapid pace. The result is a platform that is continually evolving and improving to meet user needs. Users get free unlimited email-based support from our award-winning global customer experience team and phone call-backs when requested. There are also video tutorials, online help centre, certified Xero advisors and an online community of engaged users. It’s all free and available whenever a user might need it. Working with more than 1 million subscribers around the world, big data can be aggregated to help transform the way businesses and advisors work. Xero Accounting Software has processed more than $1 trillion in transactions to help fuel machine learning. And Xero Accounting Software delivers customisable interactive reports and budgets in real-time to businesses and accountants in Perth. Everything Xero does starts with design. The product has been designed to be easy to pick up and play, so the user experience is beautiful from day one. Far from the typical accounting software experience, Xero Accounting Software makes day-to-day tasks feel like magic – for accountants in Perth, bookkeepers and their SMB clients, it’s a pleasure doing business. No matter what your business accounting needs are, Xero Accounting Software will undoubtedly be the best choice to provide you with an efficient, simple and reliable cloud accounting software. 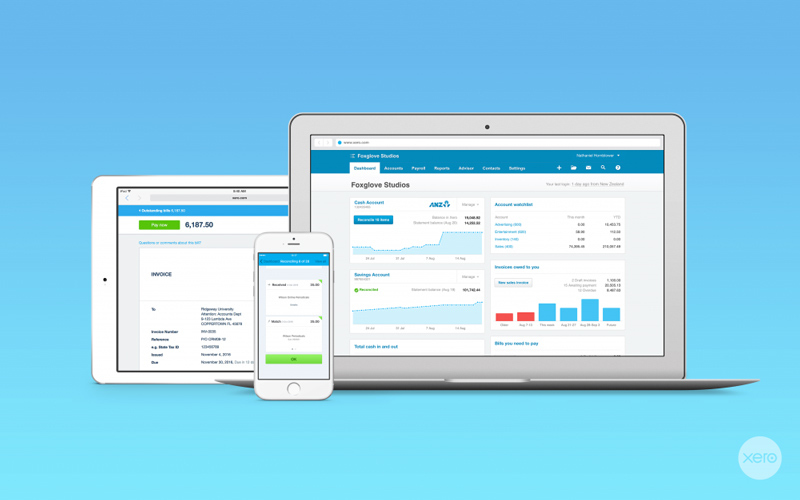 Want to know more about getting Xero Accounting Software for your business? Then take a look at Tax & Accounting Packages.